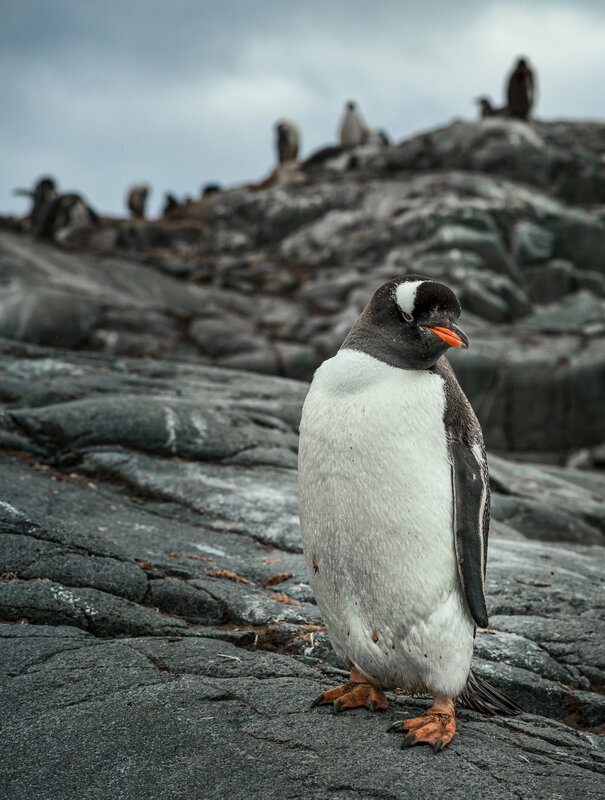 Capture the splendor and magnificence of Antarctica's wildlife and landscapes! Because you’ll be shooting in daylight, you won’t need a tripod. Which means you don’t need to lug it onto the plane, through customs, or along on every excursion. And you will have the freedom to compose on the fly, without having to setup the tripod prior to clicking the shutter. When I’m working in an environment with many moving parts—icebergs, penguins, light, and myself in a boat, I find working handheld to be far more rewarding and fun. Today’s great zooms like 100-400mm, 200-500mm, and 150-600mm make this really easy. Exposing properly for the bright light and reflective surfaces, such as snow and ice, can be tricky, even on cloudy days. Set your camera meters to “evaluative metering”, meaning the entire scene from corner to corner will be taken into consideration. However, even this setting can be fooled, such as with bright snow or ice. All cameras and light meters are calibrated to 50% grey. So there will be many times you need to override the camera meter, and “overexpose”, so that the snow is white, not gray. When you do this it’s important that you don’t overcompensate, which could lead to blow-out highlights. Avoid this by using the “highlight warning” (the “blinkies”) setting. 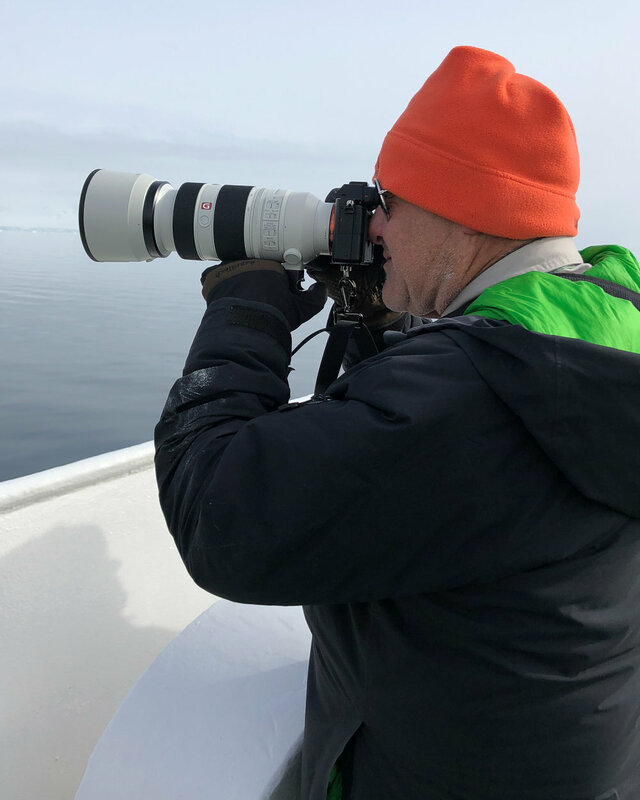 When capturing images of wildlife it’s best to use a focus setting called “continuous focus”, which allows the camera to continually track focus on the subject, whether it’s a penguin or whale. Your job is to continually press down on the trigger just before releasing the shutter. If you’re using what’s called “back button focus”, then you’re pressing on the AF button on the back of the camera in addition to the trigger. It’s best to use a group of focus points somewhere in the center of your frame. This helps assure that the camera will acquire accurate focus on only the subject lined up behind the focus points, so be sure your subject is behind the group of focus points. When you’re holding your camera, be sure to be as comfortable as possible, with one hand on the camera body and another under the lens and your eyelid pressed up against the eyepiece. It’s also important to use the built-in image stabilization for your camera or lens. Finally, a faster shutter speed will maintain sharpness by freezing the movement of the wildlife. With the huge amount of light in Antarctica, this is never a problem. Composing fields of ice, hundreds—and sometimes thousands—of penguins, and mountains covered in ice, is challenging. In this environment, it’s best to isolate specific subjects from the larger landscape, such as one lone penguin, or a crevasse in a glacier. By doing this through the lens, you’re isolating something special out of the mix. If you focus on finding these isolated subjects, and add some interesting light to it, you will begin capturing unusual compositions that many never noticed, thus making your images more interesting. There are endless opportunities in Antarctica to capture unique images of landscape, wildlife, and even travel scenes. Be sure to not only capture images in focus, but also try different things like getting super low, or using motion blur or shallow depth of field. Most importantly, be creative with the camera, make mistakes, and learn from them so you can grow in ways you didn’t think were possible. It is ironic, that a place so stark, cold, remote, and inhospitable is coveted by so many photographers. But then again, when you think how far photographers will go to get shots that inspire, amaze, and gratify them, it’s no wonder. Simply put: there’s no place like it. Antarctica is actually an inviting place, teeming with life. Imagine coming upon a glacier that creates an icescape that seems like it could be on another planet. Or photographing a breaching humpback whale, whose size is as astounding as it is majestic. 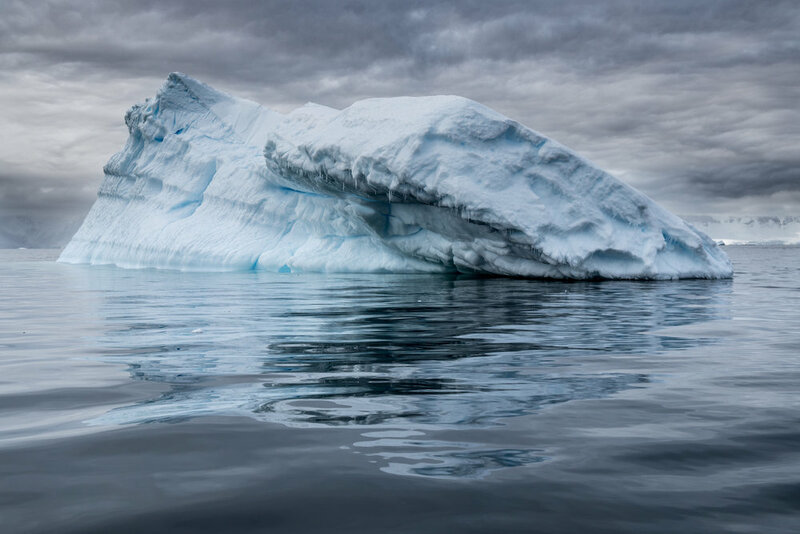 Or picture yourself out on a zodiac, photographing icebergs that, with their colors and shapes, appear like sculptures afloat in the sea. And there’s nothing quite like standing face-to-face among a community of penguins, each of which seems to have a personality just waiting to be captured in its eyes and expressions. That’s the advantage of joining a team that has conducted photography workshops around the world for over a decade: Getting to the best spots at the best times. Having many professionals who will open your eyes to more image possibilities, or a naturalist to deepen your connection to the environment and wildlife around you. And, I dare say – having all the details worked out for you in ways that make their complexity seem so darn simple. More so, there’s nothing like being among others who aren’t in a rush to constantly move on, but rather to savor the moment and pause to truly see the scene they’re in, and have the freedom to become immersed in the photographic possibilities. Where you can ask questions, bounce ideas, or just wander off on your own and see what awaits. In Antarctica, all this is magnified on a scale unlike anywhere else on earth. You can’t help but be pulled in, delightfully lost in the enormity of the place, and gleeful that you and your camera are indeed in a photographer’s paradise. 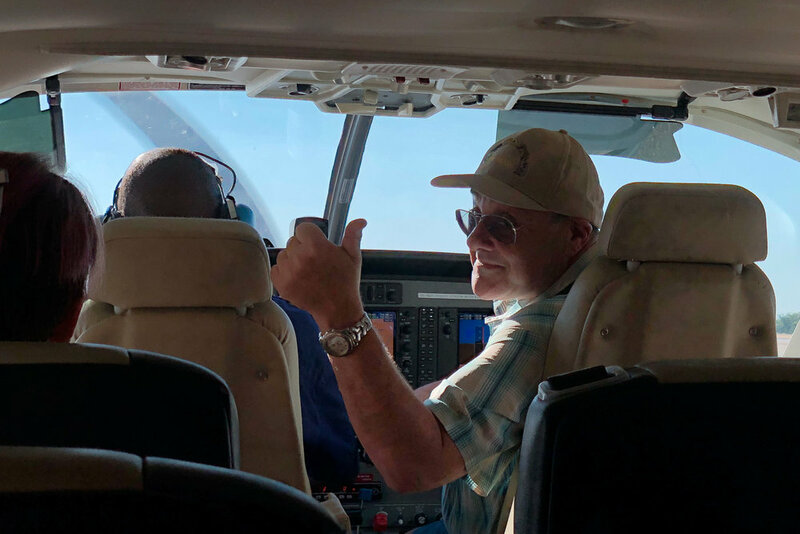 Note: this post is about our Botswana Safari from June 2018, and is excerpted from Muench Workshops’ guest Larry Blau's trip reports, thanks Larry! You can see more of Larry’s trip reports here. Bush Planes and Camp Arrival. This plane was a one engine prop that held all ten of us plus the pilot. I sat next to the pilot. The flight was forty five minutes. As the plane got closer to the Kalahari , the terrain was turning into more desert. There were sporadic watering holes and we started to notice wildlife around the watering holes. We passed by a large single elephant and some zebra. We then landed on a dirt runway. The plane pulled up to two open air safari vehicles, our safari guides were were waiting for us. Our Camp was about a fifteen minute ride away from the airstrip. We finally arrived at Camp Kalahari. As we walked into the Camp, a large bull elephant greeted us. The camp staff told us that this elephant stays around the Camp and they have named him “George”. How amazing this was. I was awestruck by the size and beauty of this animal. Night Game Drives. It was now time to board the open air vehicles for some night photography. We were going looking for Aardvarks. Aardvarks are nocturnal. You may think that we are in a desert, but it is quite cold at night. Our guide had a huge flood light and and as he drove, kept on scanning the high grass for nocturnal animals. We came across a springhare, but he called it the "African Kangaroo". It is a small animal, with a long tail that hops through the grass. We also came across two porcupines. I did not know that they are nocturnal. The driver finally spotted an Aardvark. They are funny looking creatures with large ears and look similar to a giant mouse. He stopped the vehicle and the Aardvark crawled into a hole. We all got out and saw the Aardvark digging inside the hole, deeper and deeper he went. A great sighting, but not a photograph this time! What an interesting day this was. I could have never imagined that I would one day be in the Kalahari Desert and stay in a Safari Camp. Wakeup call. Before sunrise we are greeted by a soft knock at the tent, and a voice: (softly, lilting, and getting a tiny bit louder, each time), “hello….”, “helloooo….”, “good morning…”, “hello…”. What a beautiful way to wake up. The voice brings coffee and tea and a morning biscuit to us in our tent. Now it’s time to hop in our custom land cruisers and head off to the meerkats. Our local guide, gave us a great narrative on the family structure of meerkats. There is one alpha male and one alpha female. The alpha female is the one who normally gives birth to offspring and the others help raise them. We eventually arrived at their den, after sunrise, and just waited around for the first one to appear. 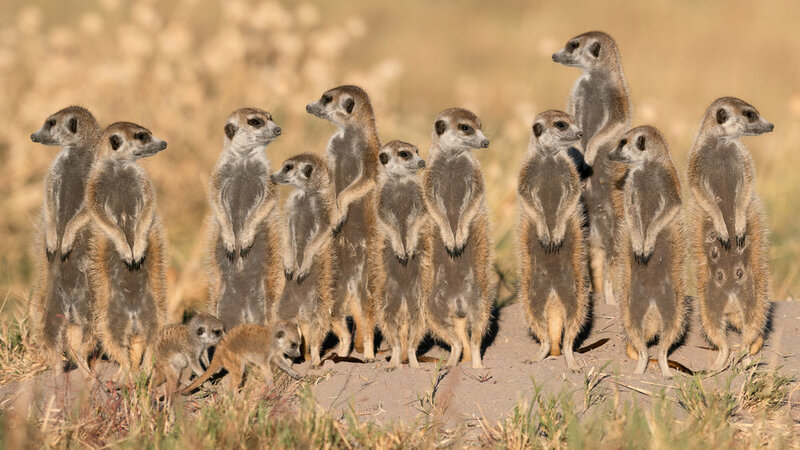 The way you normally take pictures of meerkats is that you get down on your stomach and lower yourself to their height. The first one appeared. When they come out they turn their heads almost three hundred and sixty degrees looking for any predators such as foxes, eagles and small mammals. Eventually the whole family came out, including the young, to warm themselves. By that time most of us were lying on our stomachs waiting for them to do something and clicking away. They then started to move away from their den and forage for food, digging for insects and scorpions. Such beautiful, tiny, cute, social creatures, I was deeply moved! The San Bushmen. This afternoon, a group of San Bushmen came to the Camp. There were men, women, and children dressed in their traditional clothing, which consisted of hides with some ornaments. They then took us for a nice long bush walk and spoke to us about all the grasses and plants they eat and use for other purposes. A woman stopped at a bit of long grass and started to dig. She eventually dug up a huge tuber which was the size of a volleyball. She handed the tuber to one of the men and he shaved off some of it and showed how they squeeze out the watery liquid inside. Survival. He then handed it back to her and she reburied it to grow some more. These people live off the land. They are not farmers, but they do hunt. They showed us a tree that they make poison from and then put the poison on arrows to hunt game. They eat everything they kill and are very responsible towards the land. They then led us to a large watering hole where we took some great pictures of them as the sun set. The sunsets here are truly awesome, the colors cannot be described. What a way to end the evening, enjoying a campfire next to a Makgadikgadi watering hole surrounded by a dozen San bushmen! Dinner. Dinner was very tasty beef and a potato pie. I then went back to my tent, and as I walked back, I almost walked into George. Remember him? He is the local elephant that roams around Camp. George walked right by our tent and as I write this I can still hear him outside roaming around. How wonderful to be a guest in the animals’ world! Truly The Middle of Nowhere. We then boarded our quad bikes and it was off for a ninety five kilometer ride over the Makgadikgadi Pan. Once we got out to Salt Pan, we really opened them up to about seventy km/h or 45 miles per hour. I felt exhilarated and refreshed. We were in the middle of nowhere and going to some place I had never even heard of. The quads created some dust and we were wearing turbans over our heads, Lawrence of Arabia style. The sun was very intense, but it was not extremely hot. We stopped for lunch in the middle of nowhere. We made our way over this flat type of topography sand could see what looked like water in the distance. Of course, those were mirages. At age 69 I was driving a quad cycle over the Makigadigadi Salt Pan. What an experience. Sometimes the drive was through curves and around and through tall grasses that looked like dune grass. When we had to go over rocks we had to slow down and the rocks created quite a bumpy ride. We finally arrive at “Lost Island of the Baobabs.” Baobabs are weird looking trees that have huge trunks and some of them are over one thousand years old. They are only found in a few places in Africa, Madagascar, Arabia, and Australia. This is no ordinary island. I see that there is a full kitchen setup, and dining tables, sleeping areas, and changing tents. Home for a couple nights of night photography! We shoot amazing sweet light landscapes of these magnificent baobabs at sunset, and then blue hour afterward. Then our camp staff serves us an amazing three-course bush dinner, under the stars and guarded by one of the largest baobabs. After dinner, we all go just outside camp and set up for our all-night star trail and time-lapse photography. We are intent on capturing the Milky Way behind the beautiful baobab silhouettes. Once set up and ready, I am about to call it a night and crawl into my large sleeping bag on the ground. We were not using tents. Just us all lined up in sleeping bags on the ground with the stars as our ceiling. The sleeping bag has a hot water bag in it. I wonder why? An Amazing Wildlife Experience. I had an amazing photography experience our last morning in the Kalahari. Knowing that my chances are almost zero that I will ever return to this remote part if the world, I hoped that the Kalahari would give me a grand send off and she did. We started our morning by all meeting at 6:00 AM for our game drive to look for wildlife. As the sun began to rise, we came across a large herd of wildebeests grazing and playing. The sun was rising in the background that created a beautiful scene. We then drove and drove looking for some more wildlife. Our guide and we decided to look for the lion that had been spotted over the previous days. We drove and drove but saw nothing. Finally we got out to the start of the Makgadikgadi Pan and then we spotted them. Two lions, male and female, and the male was following the female. It is unuasual to see lions in the Makgadikgadi and since there was no grass around, they were both visibly outstanding. Each sat down facing each other. Then the fun started. The female started to taunt the male. The male chased the female a little and then the female gave up. The five of us couldn’t believe what we were seeing and couldn’t stop clicking. A little about lion breeding. Lions breed for three straight days in twenty minute intervals and do not eat during this time. The alpha male normally has a few females. The females are the hunters. The males are kept by the females and their only purpose is to breed. What an animal. If a female gives birth to cubs that are not the alpha males cubs, then he will kill them. The urge to pass on the alpha males genes is very strong. This is what the Kalahari gave me for a going away present. My images appear to be outstanding. Being in the right place at the right time. A memory that will last forever. Thank you, Kalahari! Africa has gotten into my soul. The serenity, calmness, stillness and beauty of the bush is tranquilizing. You lose track of everything outside and appear to be engulfed in a world that is far away from everything. For me, it was mental, spiritual, and photographic nirvana. How I will cope with the reality of being back is for another day. 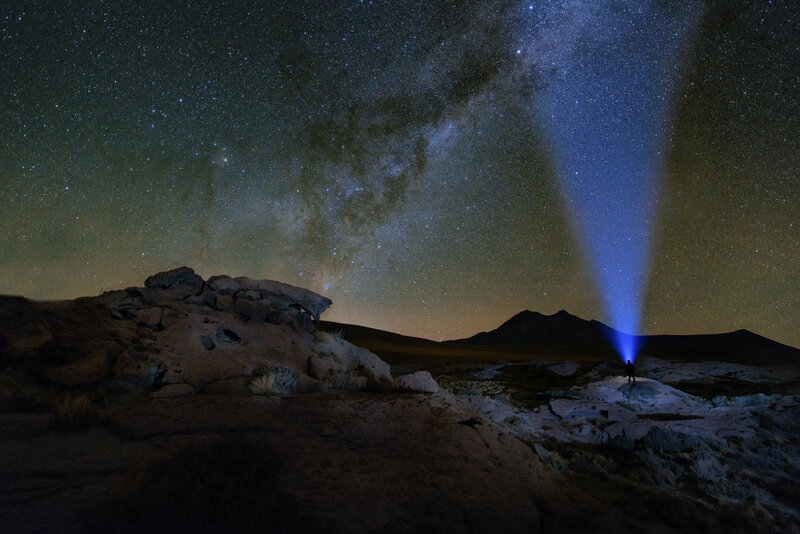 Even though I knew we would be at about 16,000 feet above sea level, I hadn't fully realized how much of a challenge altitude would be before setting out on the 2018 Muench Workshops trip in the Atacama Desert in Chile. After all, who gets altitude sickness in a desert? Nevertheless, the first time I was seriously concerned happened shortly after we arrived in our home base of San Pedro de Atacama (8,000 feet; 2,437 meters). One of my fellow travelers felt ill, and then promptly collapsed to the restaurant floor with a very slow heart rate and a low blood pressure. At the local medical clinic, the physician concluded that high altitude was indeed the cause of our companion’s medical issue and that he needed to transfer to a hospital an hour away. Fortunately, he made a substantial recovery overnight from what was later determined to be a gastrointestinal infection and rejoined the group. The second time I became concerned about the altitude was 24 hours later when, after a short car ride to 10,000 feet (3,048 meters), we began hiking a slight incline—my significant shortness of breath was now an existential problem and had me briefly concerned for the rest of my trip. Fortunately, I had not fully acclimatized and within two additional days I was dramatically more comfortable—even at 15,992 feet. For many of us passionate landscape photographers, our bucket lists include hiking at high altitude to view some of the world’s tallest and majestic peaks (think Everest, Denali, Mount Kilimanjaro, Nanga Parbat, and the peaks that surround Atacama). We dream about the beauty of the tall mountain and its surrounding landscape, crave a short time away from the complexity of our daily lives, and seek the opportunity to bathe ourselves in the culture of others. To enjoy high altitude adventure and photography anywhere in the world, there are some helpful things to consider. Do not push yourself beyond your physical and psychological ability. Attempt to get as much restful sleep as you can. However, avoid sedative type medications as they interfere with breathing. Stay properly hydrated. Climbers aim to keep their urine “gin clear” as simple evidence of adequate hydration. Consistently wear sunglasses when the sun is out. Pretreat drinking/cooking water by boiling, filtering or other method. Waterborne pathogens, such as giardia, are present even at high altitude. Wear properly fitted and tested foot wear. Protect “hot spots” on your feet before they become blisters with protective tape (duct tape actually works well). Good health and proper training will lessen but not eliminate the possibility of high-altitude illness. Altitude illness (sickness) is really a spectrum of medical problems that occur when the rate of ascent exceeds one’s ability to acclimatize (adjust). It manifests most often in a person who lives near sea level and then travels to high altitude (generally over 2,000-2,500 meters). Symptoms are uncommon below this altitude and more prevalent above 2,500 meters. Severe medical problems rarely arise below 3,000–4,000 meters. Individuals may also become symptomatic when ascending further when already at high altitude. Even with careful acclimatization, some individuals may develop one or more symptoms of high-altitude illness. The symptoms discussed below are caused by the reduction in oxygen available as the altitude (above sea level) increases (the air becomes “thinner”). Since our survival is dependent on our ability to supply oxygen to vital organs such as the brain and heart, we have developed mechanisms to help compensate for low oxygen environments. The capacity to acclimatize varies greatly among individuals and is dependent on many factors. The body begins to adjust within minutes of ascent, but requires several weeks to complete the process. As mentioned above, most individuals do not experience high-altitude illness, or may develop only mild symptoms, particularly with proper preparation. However, severe high-altitude illness is not predictable and can occur in the healthiest and most physically fit individuals. It is not possible to predict one’s threshold, in part because there may be genetic determinants. That said, for those of you who have “done well” at high altitude in the past, you are likely to do well on most high-altitude photo adventures. Other factors including obesity, strenuous exertion upon arrival at altitude, a past history of high-altitude illness, a rapid rate of ascent, and alcohol use are predictors of altitude sickness.Interestingly, it turns out that age has not been shown to be an independent predictor of the development of high-altitude illness. At one end of the spectrum of high-altitude illness is acute mountain sickness, which is a term that is used when symptoms remain mild. Mild symptoms resemble those of an alcohol hangover and include headache, fatigue, lightheadedness, lack of appetite, nausea and vomiting, difficulty sleeping normally, and mild shortness of breath with exertion. Life-threatening illness such as cerebral edema (swelling of the brain) and pulmonary edema (water in the lungs) can develop, particularly when mild symptoms are ignored. Severe symptoms include irritability, confusion, inability to think clearly, drowsiness, or stupor, and shortness of breath at rest or with mild exertion and cough that is often accompanied by pink, frothy phlegm. There are some measures that can be taken to reduce the risk—prevention—of developing symptoms. Taking time (days) at the beginning of the trip to get used to high altitude is the best way to avoid symptoms. After initial acclimatization, gradual ascent is recommended. In general, once above an altitude of about 10,000 feet (3,048 meters) ascent of more than 1,000 feet (305 meters) per day is not recommended. In addition, most experts recommend that climbers stay really well-hydrated and avoid alcohol, which may depress breathing. Experts within the medical community have differing opinions as to whether the drug acetazolamide is effective when used prophylactically particularly if ascent can be gradual. In addition, the medication has a few undesirable side effects. For individuals who develop mild symptoms, treatment includes rest, hydration. Mild analgesics such as acetaminophen or nonsteroidal anti-inflammatory drugs (NSAIDS) usually are helpful. In patients with more severe symptoms, acetazolamide (Diamox®) is given. Patients with cerebral or pulmonary edema are often prescribed steroid drugs (dexamethasone) and need prompt expert attention, including the possibility of evacuation. If you have anything more than minor symptoms, it is best not to continue your ascent. When possible, take an extra rest day to help the acclimatization process. Will you be carrying oxygen? Is there a plan to bring guests with altitude sickness to a lower elevation? Who will be our local guides? What is their experience level? Will there be sherpas or others to help carry bags? Do you have any reservations about the trip I’m planning? Do I need to change any of my medications while I’m travelling? What pills do you recommend I take with me? Do you recommend that I take acetazolamide to prevent altitude symptoms? I have high blood pressure; should I get my blood pressure checked on my trip and do you recommend any changes to my medications before I go? But let’s get back to the good stuff. High altitude locations are amazing photographic locations and any workshop or trip to high places such as Tibet should be one of the travel highlights of your life. All you need to do is plan your trip wisely, follow instructions, let your leaders know if you’re not feeling well, AND have a terrific time.